Gennemsnit af vurderinger - Baseret på 537 anmeldelser. Mijas Costa is a diverse stretch of coastline on the Costa del Sol, nestled between Fuengirola and the east Marbella resort of Cabopino. The area encompasses the popular holiday resorts of Calahonda, Riviera del Sol and La Cala de Mijas. Mijas Costa is an ideal destination for both family and friend holidays, with safe beaches and local shops, bars, restaurants and golf on hand in each resort. Mijas Costa is a modern resort, much of which has been constructed in the last twenty years. What it’s lacking in culture and historical buildings, it more than makes up in an infrastructure designed to cater for holidaymakers. And if you want to soak up some of the local Andalusian culture, you can hop on a bus or grab a rental car and visit the nearby resorts of Marbella, Fuengirola and Mijas Pueblo. 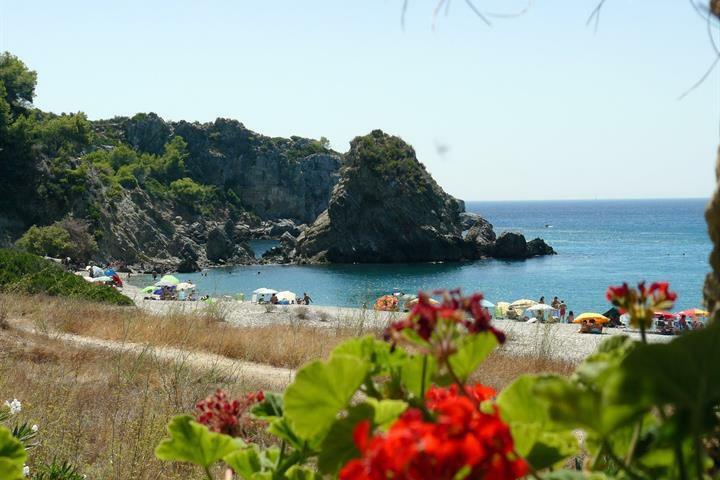 Mijas Costa is the perfect holiday destination for lazy beach holidays. You have both the beach and excellent amenities on your doorstep; a car hire is recommended, but not essential. The popular resort of Calahonda is situated around halfway between Marbella and Fuengirola. It’s a very popular resort for both British holidaymakers and expat residents. The beach here is a mix of sand and pebbles. The sprawling resort starts beachside and reaches across the highway and up into the rolling hills behind. 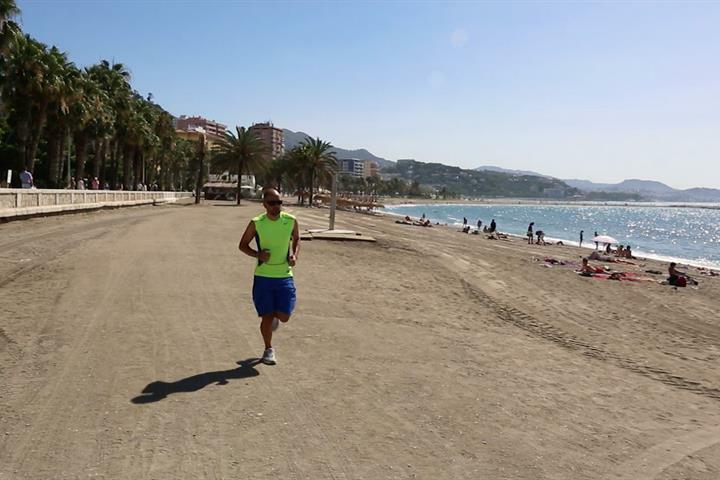 Just along from Calahonda, towards Marbella, you can walk to the pretty Cabopino beach and harbour, with its popular beach restaurants, bars and cafes. Heading towards Fuengirola, you come to Calypso, a small urbanisation of villas and apartments. There is a little supermarket, bars and restaurants and a sunday market, held in the little roadside commercial centre. The next resort is that of Riviera del Sol-Miraflores. Two urbanisations practically rolled into one. Miraflores is home to the Miraflores Golf and Bowling Club. There is also a beach and country club, which offers lots of activities for non-members. The area has lots of bars and restaurants to choose from, and of course the beach is on your doorstep. As with Calahonda, Riviera del Sol and Miraflores reach up high into the hills looking out across the Mediterranean. If your accommodation is located up in the hills, a car hire is definitely recommended. Next stop along Mijas Costa is the charming residential neighbourhood of El Chaparral. Built around El Chaparral Golf, the quiet, leafy urbanisation is a lot less commercial than its neighbours. Made up of pretty villas and gardens, it’s the ideal getaway destination; close to the beach, golf and the resorts of La Cala de Mijas and Fuengirola, yet tucked away for a completely relaxing holiday. La Cala de Mijas is an excellent all-round holiday destination. It enjoys a village feel, with excellent amenities, a long stretch of golden sandy beach and heaps of restaurants, bars and beach cafes to choose from. There is a popular children’s park in La Cala, with a little cafe where parents can sit back and relax, while children play. During the summer months, the park often organises fun activities such as face painting, games and bouncy castles. There is a large market held every Saturday in the fairground and throughout July and August there is a beachside market and during a week in August, a Medieval Market is held in the main square with food, music, artisan stalls and children’s activities. Heading into Fuengirola, you find beachside of the coast road becomes Fuengirola, the mountainside side remains Mijas Costa. Las Lagunas is the last neighbourhood of Mijas Costa. It’s a fairly new urbanisation of apartments and townhouses, a Spanish residential area, with local shops, bars, restaurants, a theatre and a Saturday market. You can easily walk into Fuengirola from Las Lagunas. Mijas Costa is well placed to explore the rest of the Costa del Sol. The elegant resort of Marbella is just 15 minutes drive away and the whitewashed inland pueblos of Mijas, Coín and Alhaurín el Grande are also close by and worth a day trip. Malaga City is around 30-40 minutes drive away depending on where you’re staying. If you’re on holiday with children and looking for a fun day out, you don’t have to look far. 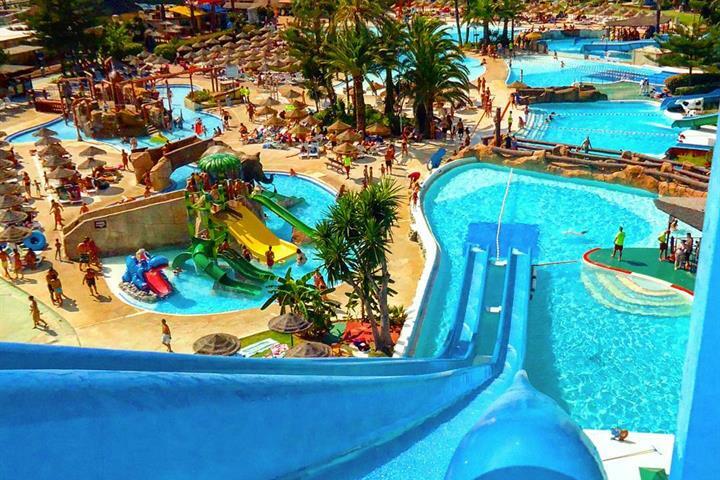 The Parque Aquatico Mijas (Mijas Water Park) is a favourite with kids, with its water slides, wave pools, play islands, body skiing slides and much more. 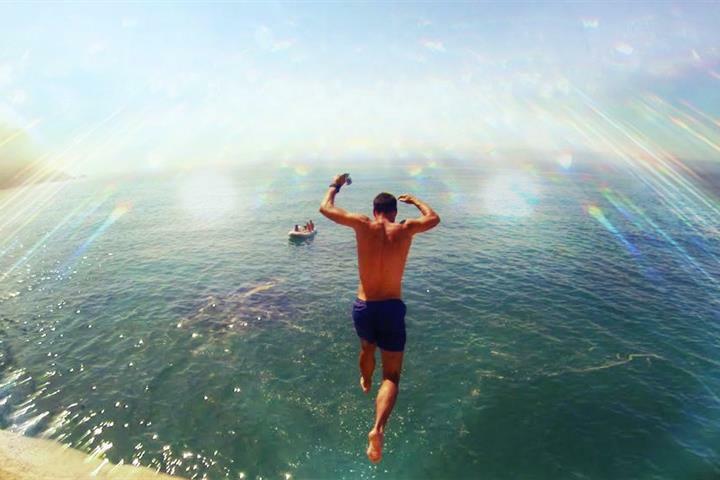 The water park is situated on the Mijas Costa, on the Mijas-Coin turn off. Heading in to Fuengirola you can visit Bioparc Fuengirola, a highly respected zoo, which has spent many years creating a space as close to the natural habitat of its residents as possible. There's lots more besides, check out our Five Fantastic Fuengirola Day Trips for more day trip inspirations. There are bars, restaurants and beach chiringuitos galore in Mijas Costa. Due to the high volume of tourists and foreign residents in Mijas Costa, visitors will find a huge selection of cuisines from around the world. 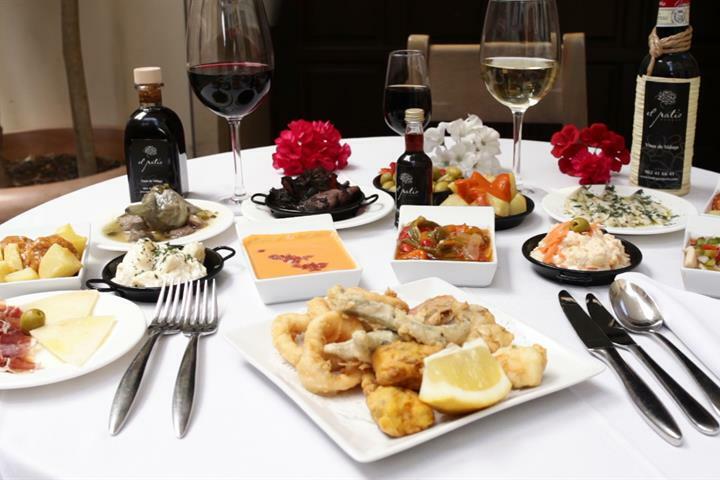 Traditional tapas, sits next to Indian cuisine, pizzas or a typical English breakfast. The choice is yours. 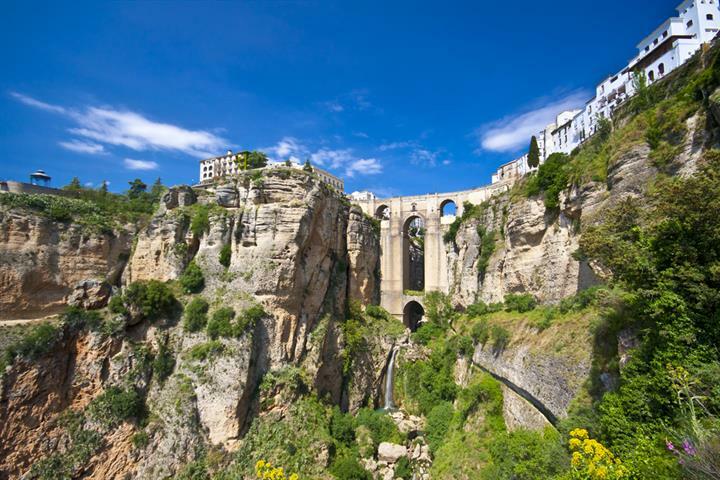 Mijas Costa is one of the most popular holiday destinations in Spain, so if you are looking for a quiet holiday, you might find it a bit crowded during the peak months of July and August. It’s an ideal family destination, with lots to do and within easy reach of the rest of the Costa del Sol. A hire car is recommended if you want to get out and explore, but not essential if you just want to enjoy a lazy week in the sun. Der er tre vandlande i Málagaprovinsen og to mere i nærheden, her er alle de oplysninger, du behøver inden du besøger dem. På vej til Costa del Sol i år? Der er så meget at se i denne del af Spanien, udover fra strandene og nattelivet. Læs videre for at opdage mere! Læs om 26 spændende familieaktiviteter på Costa del Sol! Der er nemlig masser af oplevelser for børn på Costa del Sol, som man bare må opleve! 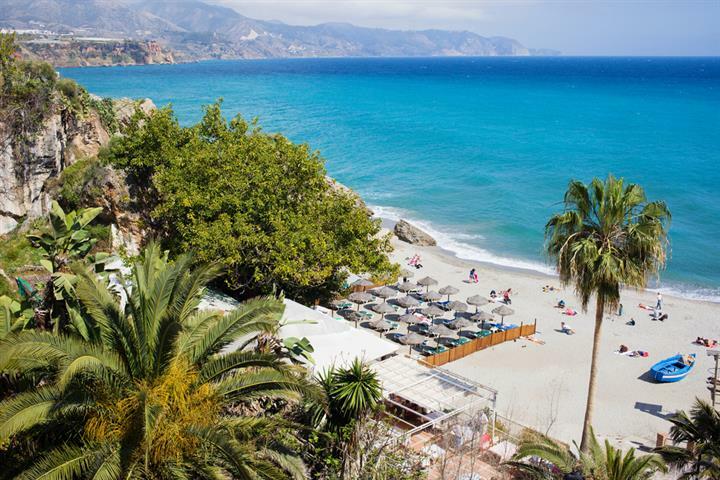 Playa El Cañuelo i Nerja er en af den slags strande, der fortjener at blive omtalt som Paradis på Jord. Man skal se den, før man tror det! Tapas er ikke bare en ret - det er en livsstil. Få indblik i Spaniens tapastradition i vores video og se hvilke tapas du bør smage når du er i Malaga. Få 5 forslag til naturskønne løberuter på Costa del Sol - både til motionisten og den erfarne løber. Og oplev en løbetur i Malaga på HD-video! Alt for mange turister mange steder. Vi kender området godt eftersom vi er kommet der de sidste 9 år.. det er bare et sted hvor vi virkelig slapper af og føler os hjemme i..
Der er alt i området ved kysterne.. området har over de sidste år gennemgået en opgradering så det er kommet flere faciliteter til langs strandene og masser af lege områder for børnene..
Det er lidt slidt ved strandpromanaden, en skamder må køre biler dernede.